Matt Parker, the brilliant stand-up mathematician, shows us what happens when maths goes wrong in the real world We would all be better off if everyone saw mathematics as a practical ally. Sadly, most of us fear maths and seek to avoid it. This is because mathematics doesn't have... read full description below. Matt Parker, the brilliant stand-up mathematician, shows us what happens when maths goes wrong in the real world We would all be better off if everyone saw mathematics as a practical ally. Sadly, most of us fear maths and seek to avoid it. This is because mathematics doesn't have good 'people skills' - it never hesitates to bluntly point out when we are wrong. But it is only trying to help! Mathematics is a friend which can fill the gaps in what our brains can do naturally. Luckily, even though we don't like sharing our own mistakes, we love to read about what happens when maths errors make the everyday go horribly wrong. 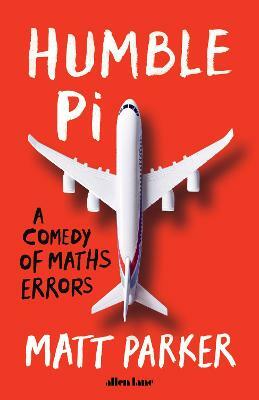 Matt Parker explores and explains near misses and mishaps with planes, bridges, the internet and big data as a way of showing us not only how important maths is, but how we can use it to our advantage. This comedy of errors is a brilliantly told series of disaster stories with a happy ending.